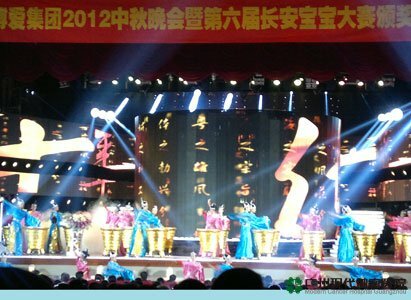 In order to celebrate the annual Mid-Autumn Festival and promote culture construction of the Group as well as the hospital, in the care of the Boai Group leadership orchestrating the evening party of Sep.21 2012, the Mid-Autumn party with the theme of “The Heyday of Boai, Love Filled in Guangzhou” of Guangzhou Area and the Sixth Changan Baby Contest Awards Ceremony were held in Sun Yat-sen Memorial Hall in Guangzhou. Boai Group’s leadership, the leadership of the hospitals in Guangzhou Area, media reporter group from Bangladesh and medical workers of each hospital and their families were gathered together, singing and dancing, and spent a pleasant and memorable evening. Before the start of the evening party, the Boai Group Chairman Mr. Lin Zhicheng delivered a warm speech: he first extended holiday greetings to the present guests from overseas, the medical staffs and their families; then he highly recognized the contributions and efforts of all health-care workers to the development of the Group as well as the Hospital; he also expressed sincere gratitude to everyone's diligence, dedication and struggle on their work. At the same time, he hoped that all medical personnel live up to the belief of patient-oriented and provide safe, high-quality and satisfactory medical services for patients. Then, the party was started by the dance which was composed and performed by the medical staff of the Boai Group: their sweet smiles and light dance steps formed a beautiful landscape and offered a beautiful visual feast for the audiences. 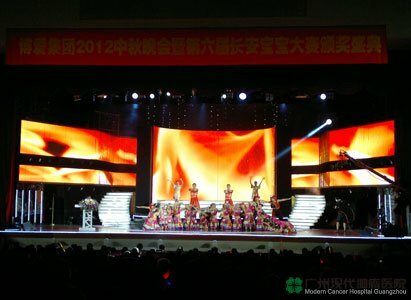 The audiences broke into enthusiastic applause as the show came to an end. 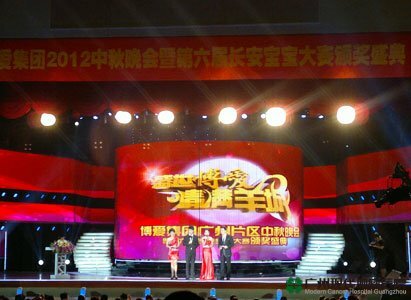 During the party, a solo performance of unique style saxophone won audiences’ applause again and again, and the wonderful music played by the fully-dedicated performer deeply shocked every audience, so that the atmosphere of the scene at this time surged to high tide accompanied by applause. 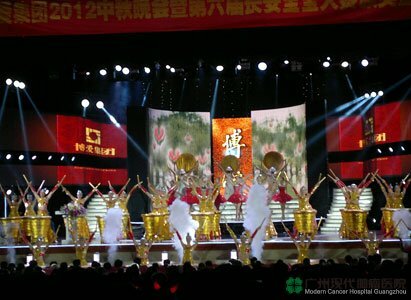 The entire evening performances featured so innovative with diverse subjects, for example, exotic dance - “Moonlight of Lotus Pond", passionate modern dance – “belly dance". The story "warmth" which was narrated by the famous artist Shen Danping, has fully and most vividly manifested the frustrating medical-seeking treatment course of a mother. It was no doubt that this program has become the biggest highlight of that evening. Even when the show was over, many audiences still got immersed in the story. In the party, the hosts were humorous, while the audiences were high enthusiastic so that the party has surged to high tides again and again and the entire scene exuded a kind of festive atmosphere. Wonderful cultural performances made the audiences saw life-saving work medical staffs were also versatile, enthusiastic and vibrant. The short film "Overseas Love" also invited overseas long-term stationed Vietnam branch staffs to present the scene and the family reunion scene moved all the people. As overseas workers long-term separated from their families, but from their words, we didn't see any grievances; instead, we saw their impressive consistency and enthusiasm on work. The applause once again pushed party to a new climax. Finally, the evening party came to an end with the program of "Song of Boai", performers’ melodious singing, graceful dance and brilliant & sweet smiles, not only reflected the contemporary elegance of health care workers, but also showed greater love and solidarity, positive, happy & lively work style and colorful cultural life of the Boai Group Medical staffs.